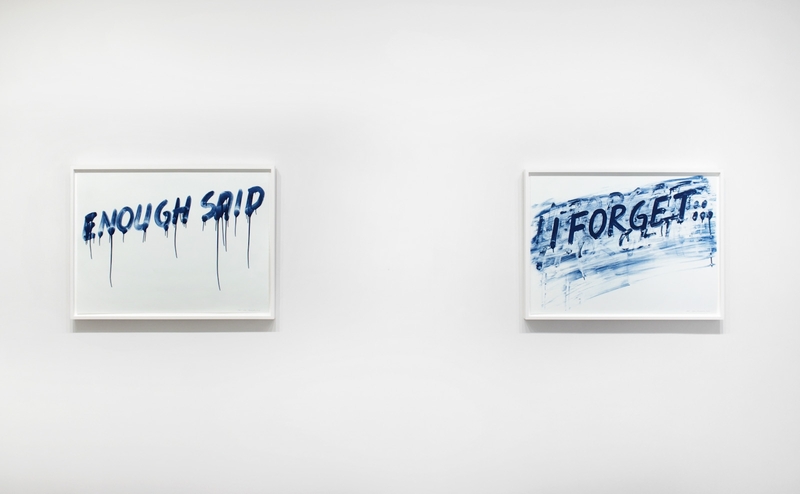 Barbara Krakow Gallery’s current exhibition of Mel Bochner’s work is a survey of his editioned works from 2007 to the present, including 7 brand new works. 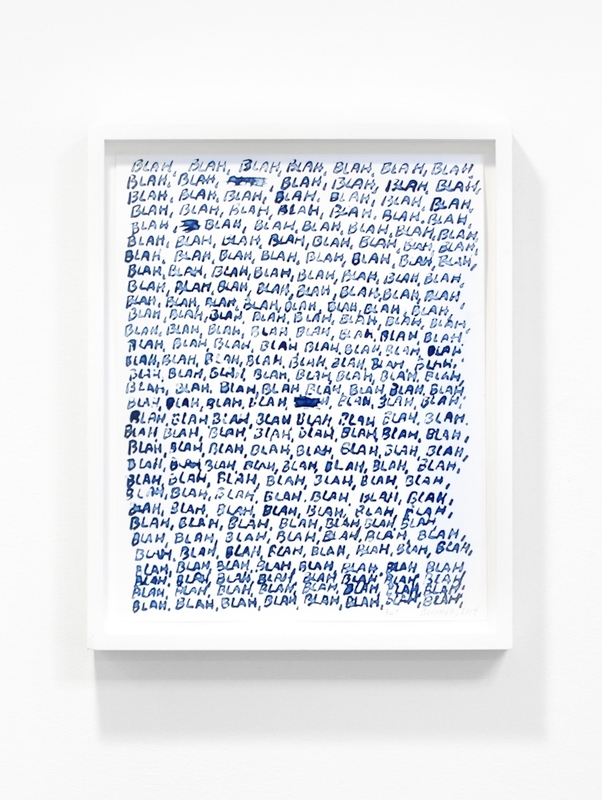 Mel Bochner came to prominence in the 1960’s as a writer (working on his own and collaborating with such luminaries as Robert Smithson), curator (Working Drawings and Other Visible Things on Paper Not Necessarily Meant to be Viewed as Art) and as an artist. 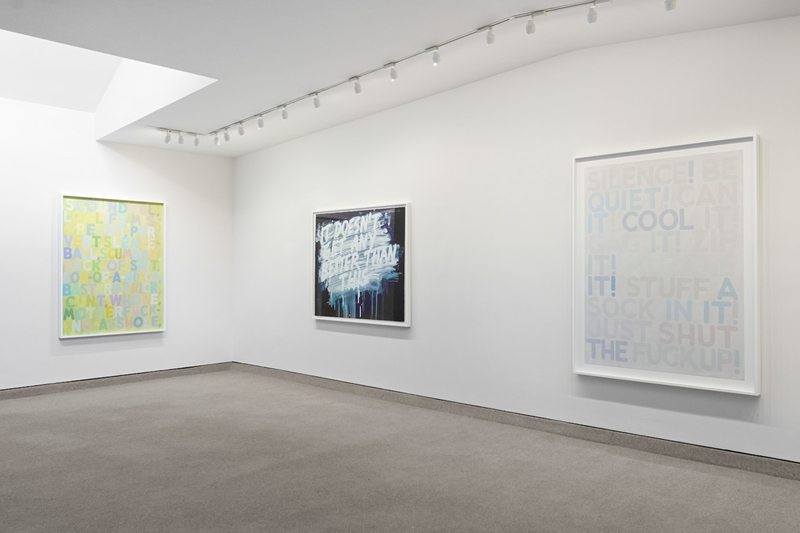 Prior to the current work, Bochner had been beginning to explore the intersection of color and language through a body of work, if the color changes, inspired by a text by Ludwig Wittgenstein. 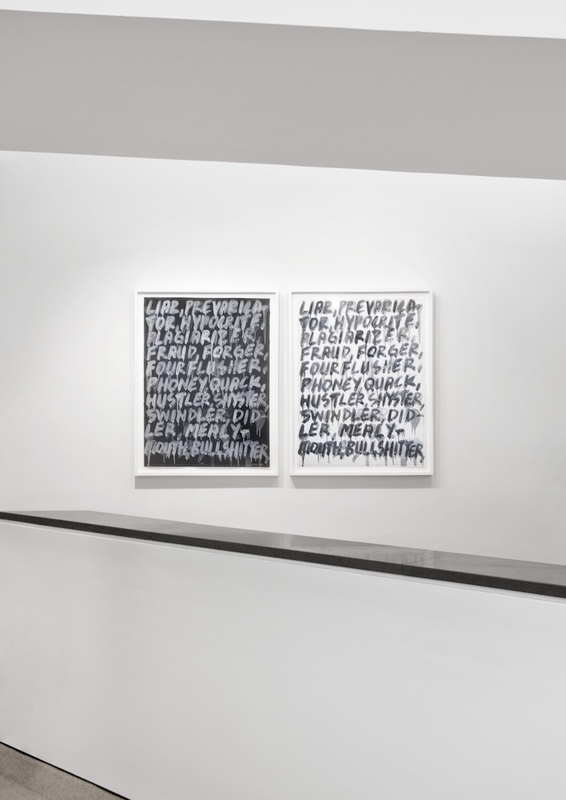 This work offered clues to the artist on how to subvert the reading of a text. In 2001, Roget’s Thesaurus began including slang. 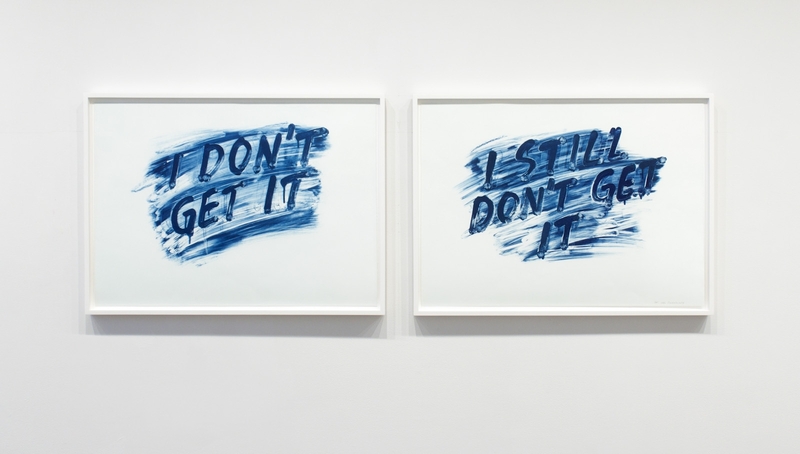 This served as the spark for the current body of Bochner's work. For the artist, the thesaurus is “a warehouse for words”, a mine of readymade text for his work and, with the new additions to the thesaurus, he is now able to juxtapose the vernacular and the proper, the formal and the vulgar, and the high versus the low. 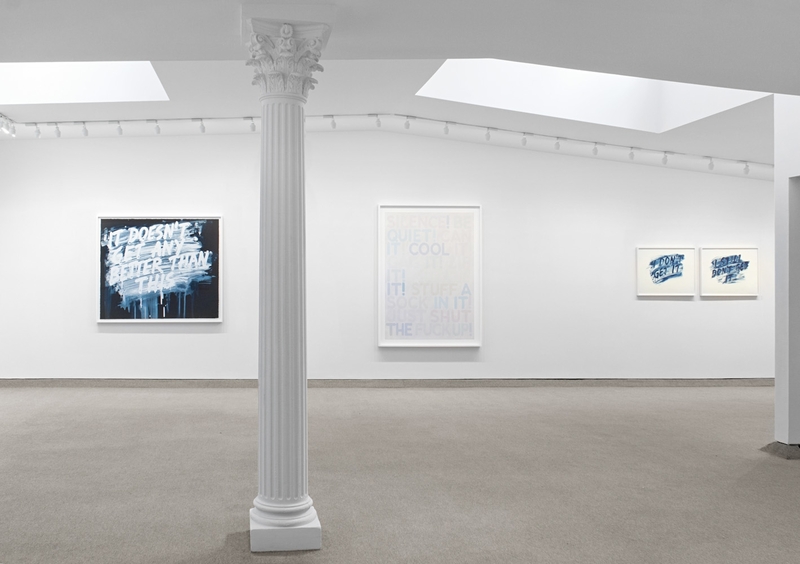 With these juxtapositions laid out visually, Bochner enmeshes the cerebral and visual associations of words in order to expand the possibilities of language as image, medium and subject matter, all as humorous, layered, powerful and succinct works of art. 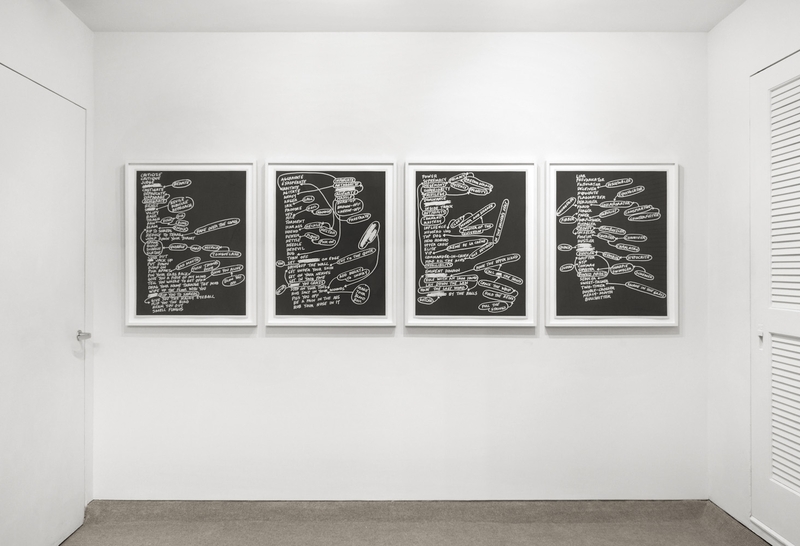 When thinking about Bochner’s activities as a writer, curator and artist, one can easily see how the 17 recent text-based works in this exhibition encapsulate his activities. He is writing, selecting and creating all at the same time. This exhibition includes works using numerous print techniques. 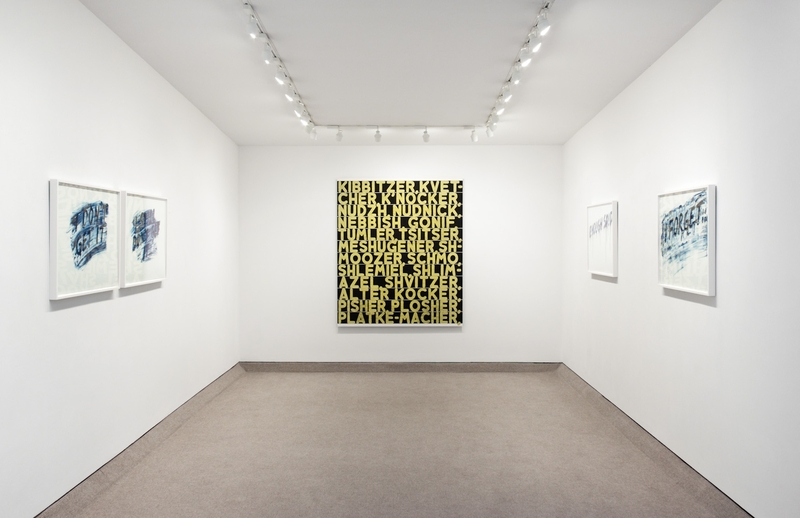 Bochner does not think differently about his prints than his unique works, but he does think differently inside each print medium. In his words, “Every medium offers specific visual, conceptual and technical frameworks. I try to explore those overlaps to create each print’s unique voice,” and so this show the variety lays those explorations bare. 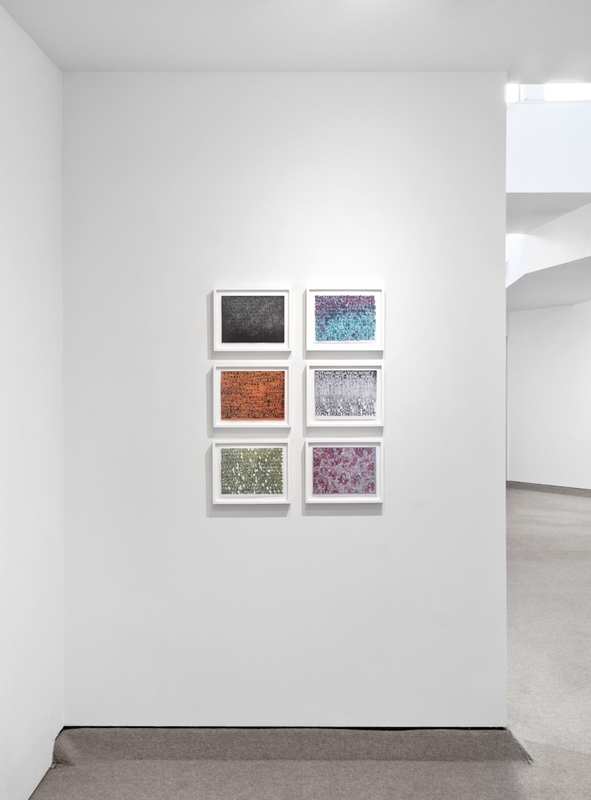 Bochner has been making prints seriously, off and on, since he made his first etching plate in art school, fifty+ years ago. “I do admit it’s an addiction. But as long as it continues to trigger new thoughts and unpredictable results, I have no intention of giving it up” says Bochner.